Hi, my name is Rachel and I would like to offer you a “steamy” welcome to my website. If you think you’re about to enter a world of technical information and sales pitches that try to coerce you into buying something that might not suit your needs, think again. In fact, the little creation you see before you has ended up on the internet because I spend a great deal of time researching all sorts of cleaning utensils, but not all of them are right for the type of cleaning jobs I have. Instead of just putting this information into my “memory banks” I decided to pass it on. You may at this point be wondering how it is I think I’m the person to let you know what type of steam cleaners deserve to be reviewed? Well, it just so happens I own a cleaning business and I come across a lot of steam mops, carpet cleaners and multi purpose steamers during my work. This is why you will find plenty of reviews on products that use the power of steam to help keep your home clean. You see, for the most part there are few cleaners here that can be used commercially, although I did have to include at least one which I bought for my business (sorry, but I couldn’t help myself). I understand that not everyone can take time out of their day to sit and read through a whole website, that could take hours and you don’t need to be filling your head with information you don’t need. So, for that reason I’ve added a comparison table for you. In this section you will find an easy to read guide that will tell you at a glance what brands I have, what type of steam cleaner I have and a few other pieces of basic information. Of course, if you want to find out more about a particular steam cleaner, I’ve also added a link at the end so you can quickly jump to the review without having to navigate around my website. In the following few pages you’ll not only find reviews on various different steam cleaners, you will also find some informational pages I think might come in handy if you’re not sure which type of cleaner will suit your needs best. You will find all sorts of information on what you should think about before you buy a steam mop. During my research I have come across a lot of complaints regarding overall results, and in most cases it tends to be because the wrong model is being used. You can read more about that in the steam mop buying guide. Of course, I could hardly include a buying guide on steam mops, and then leave out carpet cleaners. So, if you’re looking for a carpet cleaner and not a hard floor steam cleaner, I have some interesting information for you in this guide. For even more information, just jump to the information section below. I can well imagine that a lot of you won’t read everything on my homepage, and that’s fine (I have thick skin). What I will say before I get on to my overall top picks is that you should at least have a quick look at the info-section just in case there’s some information you’re unaware of. The Bissell Big Green carpet cleaner is actually part of my arsenal of cleaning “weapons”, and very popular it is too! So much so, my team is always fighting to use it. If you’re looking for a professional finish, this is the carpet cleaner for you. If you don’t want to spend a great deal of money, the Hoover SteamVac with Clean Surge is fantastic value. It has the ability to clean you carpets, bare floors, rugs and upholstery with a bit of extra “oomph” for those stubborn stains. In my humble opinion, the Bissell 1940 PowerFresh Steam Mop has it all. Not only will it give you excellent results with the finish on your hard floors, the manufacturer has included scent discs so you get that fresh smell as well. Although not as cheap as the model below, the slightly higher price for the Hoover TwinTank pays off in cord length, tank size, run time and performance. The perfect choice for those of you who want the best in both price and quality. The Eureka Enviro Hard-Surface Floor Steamer, 313A is not expensive to buy and is eco-friendly because you don’t have to use chemicals. And, not only cleans but sanitizes your hard surfaces as well by killing off any unseen bacteria that can be lurking about. It doesn’t matter if you want to clean carpet, hard floors or upholstery, the Hoover MaxExtract All-Terrain will take on the toughest of cleaning jobs around the home. At last you can say goodbye to those nasty looking stubborn stains! If it’s versatility you’re after the McCulloch MC-1275 is the answer. There isn’t much this steam cleaner won’t deal with. It will do away with grease and grime not just in the home, but you can use it on cars, boats, trucks and just about anything else that needs a good clean. Yet another one of my favorites as far as versatility goes is the Steamfast SF-275. This little beast will steam clean just about anything. It will deal with BBQ grills, those stinky sneakers and all manner of hard surfaces around the home. If you’re not sure what steam mops are capable of or just want to find out some more information, I’ve added several information pages to help you. As I have said many times throughout my website, I’m not here for the hard sell. Changing from traditional mopping to steam cleaning might not be the right choice for you and you can find out why in this section. I know only too well that the type of cleaning pad you use with a steam mop is almost as important as the mop itself. So, in this section you can find out what types of pads are best at what jobs you intend to do. There are some pretty obvious points most people will understand when using a steam mop. Heat is one thing, so that safety consideration goes without saying. However, I’ve added this section to give you an overall idea of how to get the best from your steam mop (and safely). For those of you who are interested in carpet cleaners but don’t know what direction to go, check out the information below. Perhaps a steam mop with carpet cleaning capabilities will be enough to suit your needs, or it could also turn out that renting is the better choice. 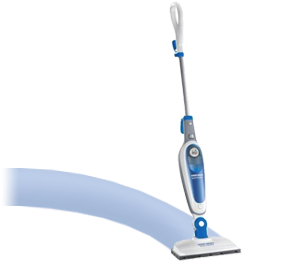 There are many brands of steam mops on the market that profess to clean your carpets as well. However, I want you to know exactly what you can expect with a product that has both of these capabilities. As you browse through my reviews, I do mention the fact that steam cleaning is one of the most eco-friendly ways to keep the surfaces clean in your home. However, there are some jobs that just cannot do without a little help with some shampoo or detergent so feel free to take a little peak at the advice I have for you here. There are positives and negatives to any appliance you opt to buy for your home and buying a steam cleaner might not be the right option for you. If you’re not sure take a look at this section of my website. I know some of you think the power of steam isn’t something that will effectively clean your home. After all, why do we have so many chemicals available to us? The fact is that most of the products on my website will kill up to 100% of bacteria on your hard floors, and remove dust mites and other allergen inducing particles in your carpets which chemicals cannot do. Of course, there is also a good smattering of steam cleaners that do use chemicals, so if you’re really not convinced about using steam alone perhaps you’ll come across something that catches your eye. All that remains to be said is that I hope you enjoy the creation you see before you, and have fun finding your new cleaning “toy”!